I’ve mentioned my admiration of Kickstarter in the past. That can be a great way for audio pros to fund field recording projects. I’ve kept my eye on the website. I’ve noticed over time that one category continually tops the most-popular crowd-funded campaigns: indie games. In fact, the stunning success of 2012’s Double Fine Adventure/Broken Age’s successful $3.3 million campaign is largely believed to have been the project that establish crowdfunding as a viable platform. Others such as Star Citizen and Wasteland 2 have been just as successful. I had always wondered how field recording fit within the scope of the indie scene. I had to look no farther than to indie game audio pro Gordon McGladdery to help. Gordon was part of a successfully-funded indie game title himself: Parkitect. McGladdery also shares his wisdom and experience on the Beards, Cats and Indie Game Audio podcast with his co-host Matthew Marteinsson. In today’s post, Gordon includes his thoughts about the difference between field recording for AAA and indie game titles. He describes his approach to capturing sound for his projects to ensure the sound fx are the right fit all while using a flexible collection of multi-pattern microphones and a stealth field recording kit. Creative Field Recording: What inspired you to work in sound? Gordon McGladdery: I had originally thought just wanted to learn how to engineer my own music better. It wasn’t until I literally entered the scholarship contest to VFS that I realized I had really strong opinions on non [traditional] musical sound; I can comfortably say stronger than my opinions on music. CFR: What influenced you to choose game audio in particular? GMcG: Again I hadn’t originally planned on it; I’m a way bigger film buff than game connoisseur. Once I discovered I loved sound design I thought I’d wind up in film, but once I learned about and got to try the whole implementation process of game audio realized all the room for experimentation and growth and I was pretty hooked. I still tried to pursue film, but my first more serious projects were honestly very negative experiences with very little payoff both financially, creatively and emotionally. Continuing on that path while I was having an absolute blast working on indie games with great teams, tons of creative license and making a living to boot was a no-brainer. Might sound contrived but I felt I’d found my people. CFR: What was your first field recording experience? GMcG: Sticking an SM57 against the screen of my apartment while living in South Korea to record a single cicada from a couple centimetres away. So I guess it was only half in the field, really, but I consider that my first SFX recording. CFR: You mentioned in your podcasts that you record a lot in the studio. Is it common for you to add fresh field/studio recordings in games? Is it a regular part of your game audio design workflow, so to speak? GMcG: Yep, original recording is fully integrated into mine and my employee Em’s workflows and the percentage of original recordings in our games rises every day as our libraries grow. We both have mics in iso-booths constantly hooked up so we can hop in there in a moments’ notice. For myself, my wife is a special effects makeup artist in film so we have all kinds of junk lying around, so anything short of explosions and other impossible-to-fit-in-the-house sounds I can generally accomplish with a little digging around and creativity. CFR: How does adding fresh effects like these change how you work on a title? GMcG: Once your workflow is locked down it definitely saves time because you know the sounds more intimately and have a sense of ownership over them. Rather than search libraries for who-knows-how-long for a sound I might have, I can record it in a couple minutes, duplicate it, clean out the room tone and fire both the raw and clean versions to my library. It’s then catalogued right in my brain. CFR: How is capturing fresh fx different for an indie title? Is it tricky to do this with indie budgets? GMcG: It’s not necessarily tricky but we have to be a bit more creative. For instance, we’re currently working on Parkitect, a theme park game, and in order to record in a controlled way at the local theme park we need to shell out a minimum of $5k for a full 12 hours, which we definitely do no need (they don’t offer any different slots). That’s simply not gonna happen. So we have to be more creative. I reached out to the sound community and bought an Sony PCM-M10 for a guy in Pennsylvania, Marc Straight, who had access to a theme park who was able to grab some useful stuff, and we’ll simply have to do more covert recordings on our own. One of the other things I think I note is that I really don’t have the resources or time to worry about multiple perspectives, which is a much bigger deal in film and AAA [game titles]. The only perspective I care about is close (without proximity effect) and dry as hell. We let our middleware take care of the distance, room, etc. It’s not ideal but the budget and editing time required to cut an implement multiple perspectives is too ungainly for small teams. At this moment we are 2–4 people working on 11 titles (including music on several) whereas a larger studio might have 10+ people working on one game so they do get to spend a lot more time on those nice details. This is definitely why I prefer very controlled studio recording over actual field recordings where you’re fighting the elements and the rest of humanity and have to do a lot more editing. 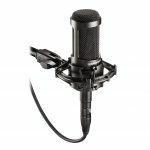 CFR: What is your favourite gear for recording fx? 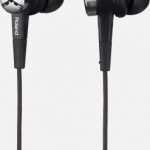 GMcG: I don’t have a pile of emotional attachment to gear, which might disappoint some people :P. Our in-house gear is minimal – as a business we’re very need-focused, not want-focused, so if my clients don’t require it, I don’t get it. We run pro-sumer level Focusrite interfaces (I run a Pro 40 and Em runs a Scarlett 4i4). My everyday mics are an AKG C414 and I still use my Audio Technica AT2035 even though it was supposed to be my beginner mic – the thing sounds great (very similar to the C414 actually, which has me scratching my head over the difference in price to be honest). 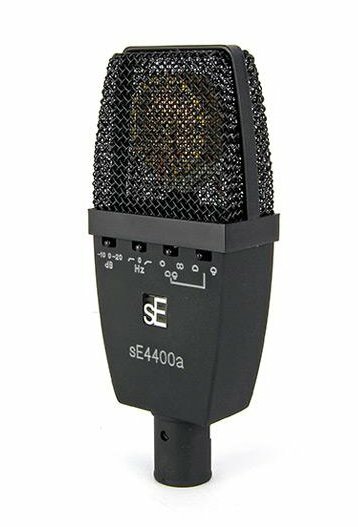 We recently picked Em up a stereo pair of SE4400a’s which are beautiful and… also similar to the C414. If it’s not obvious I like multi-pattern large-diaphragm condensers because they are extremely versatile; they’re ideal for recording in home studios where you might need to tighten your cardioid pattern to cut external noise before it hits the preamp. Anything to reduce editing time! You can record Foley, voiceover and musical instruments with them and no one complains. For actual field recording we have little Tascam DR–05s which we both got from VFS (mine’s shot, however, so I’ll be upgrading to an M10 ASAP) and Roland CS–10EM binaural mics which are a secret weapon of mine for several years now. 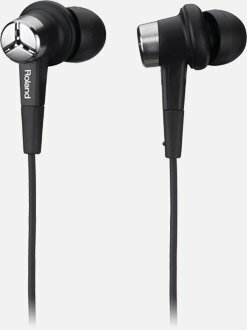 The mics on the DR–05 are awful but the Rolands are cheap and excellent and run off the DR–05 plug-in power. You don’t have to use them binaurally – they’re just omni mics so you can use them as such. 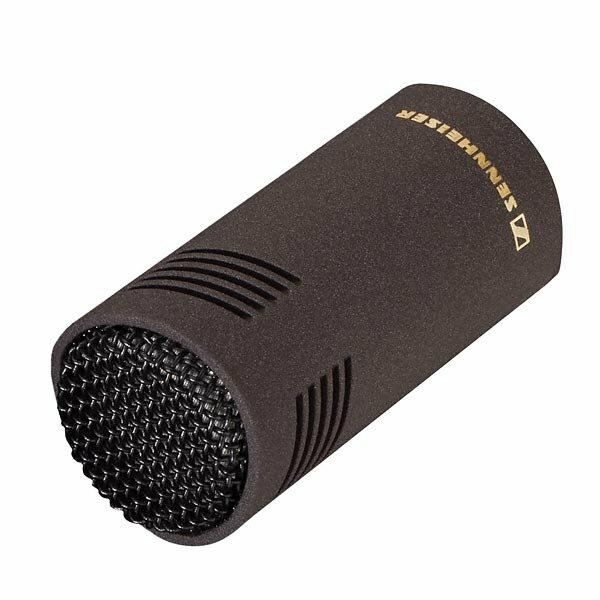 For more serious stuff we have an Zoom H6, and we’ll either take our multi-pattern mics to the field with us or borrow/rent a Sennheiser MKH 8040 or MKH 8060 from a friend. We don’t do enough run and gun to justify buying our own proper shotgun at the moment. 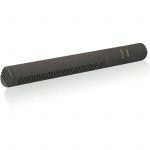 CFR: Can you share why it is your favourite, as opposed to some other microphones or recorders you’ve tried? GMcG: The DR–05 CS–10EM combo is my favourite purely for reasons of stealth. You can simply hang out with them in your ears and no one cares and you don’t feel weird, and they’re little and cheap so you can dangle them into anthills and cracks in bridges or anywhere you want. The H6 I really do love. It might not be as bomb-proof as a Sound Devices but the interface and metering is amazing, the preamps sound excellent and if you’re not running a pile of channels (we never really are) the batteries last a nice long time. If I need to throw out mic comparisons, I’ll generally choose Sennheisers over Røde shotguns simply because the A/B tests I’ve done (years ago now, not sure how accurate they still are) I found the Sennheisers to have more consistent spectrum coverage while I found the NTG3s to be too boomy, which might benefit dialog recording but I don’t love in regard to SFX. No beef with Røde of course, they make great stuff. CFR: Can you share a favourite field recording experience, or favourite fx you’ve captured with that kit? 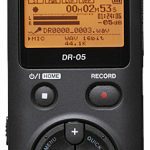 GMcG: The recordings I got in the rainforest with my DR–05 CS10em kit are still some of my favourites. I recorded them for a company called PeruNature, and you can listen to several edited recordings include the aforementioned here. Listening to it again the insects are much more shrill than I remember and maybe could have used some EQ. That’s the jungle for you (but also those DR–05 preamps)! Many thanks to Gordon McGladdery for sharing his thoughts and experiences with us today. 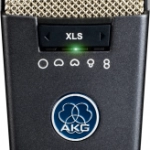 AKG C414 multi-pattern condenser microphone. 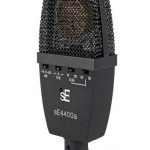 sE 4400a multi-pattern condenser microphone. 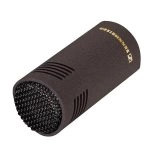 Audio Technica AT2035 cardioid condenser microphone. 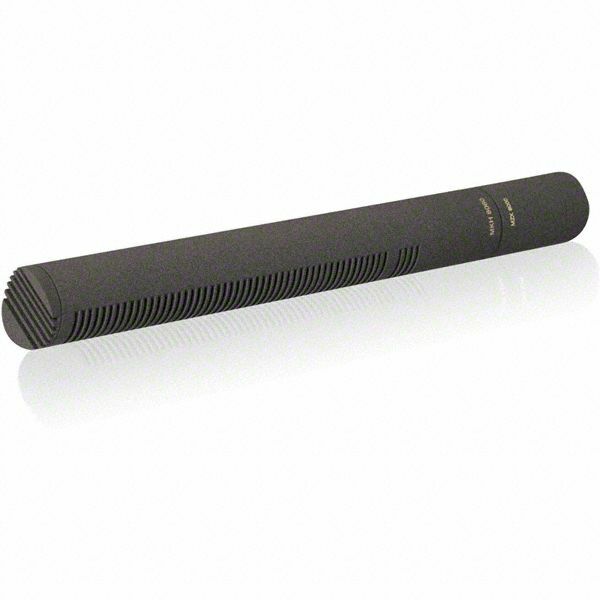 Roland CS–10EM electret condenser omnidirectional binaural microphones. 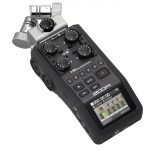 Tascam DR–05s 2-channel portable recorder with omnidirectional condenser microphones. Focusrite Saffire Pro 40 FireWire audio interface. 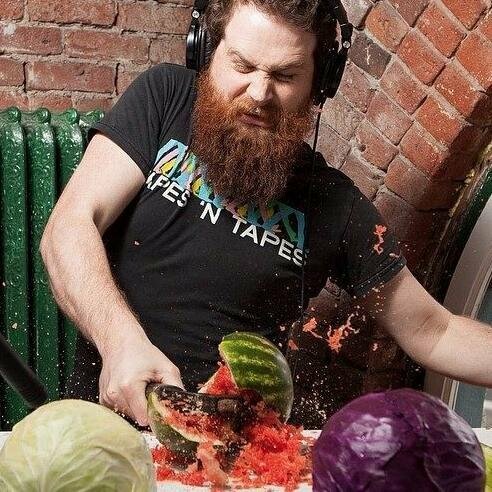 Listen to his Beards, Cats and Indie Game Audio podcast. Read a Designing Sound article by Gordon.